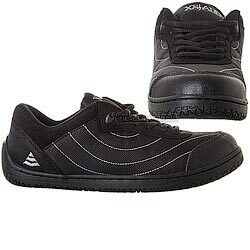 Xsjado Avant 3 Black Footwraps 6.5 ONLY! This specific model footwrap runs about a full size small! The Xsjado Avant 3 Footwraps are a top quality footwrap that are designed specifically for Xsjado boots. These footwraps were made from some really high quality materials. The outer soles on the Avant 3 Footwraps are the same as the most recent Xsjado Sneakers. The inside of the footwraps come with the same great padding as the normal Xsjado Footwraps/Sneakers.